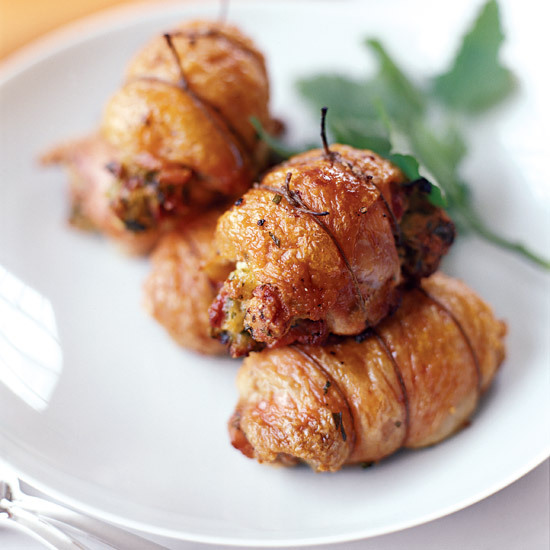 These delicious recipes include Mario Batali's cheese-filled chicken thighs and Italian heroes with sausage and peppers. 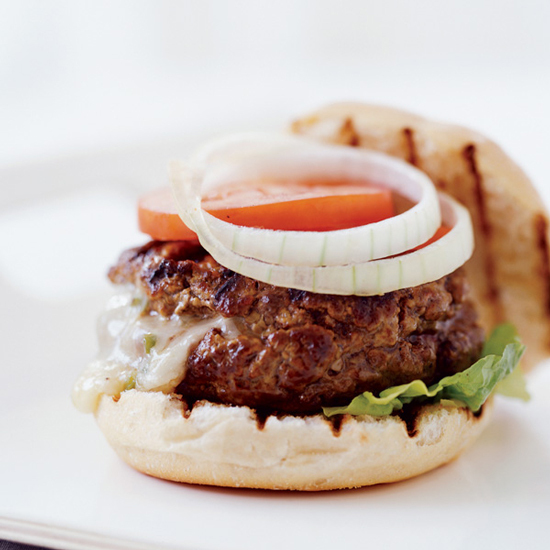 The Dish: The gooey filling for these juicy burgers was inspired by the Mexican dip chile con queso, made with melted cheese and roasted chiles. 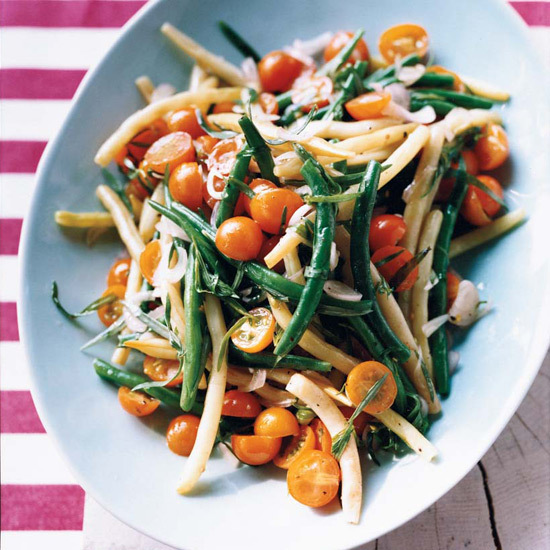 The Dish: This supersimple bean-and-tomato salad, tossed with a tarragon-flavored dressing, is perfect for summertime picnics, like the kind Paul Virant’s mother would prepare when he was a child. 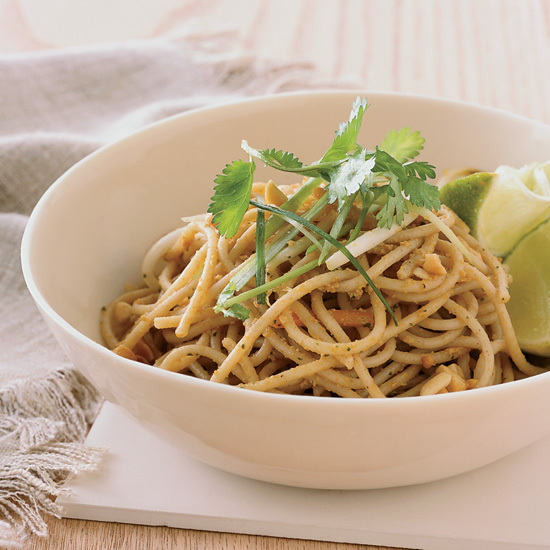 The Dish: The whole-wheat spaghetti and red curry paste in this noodle dish make it an affordable, delicious alternative to take-out. 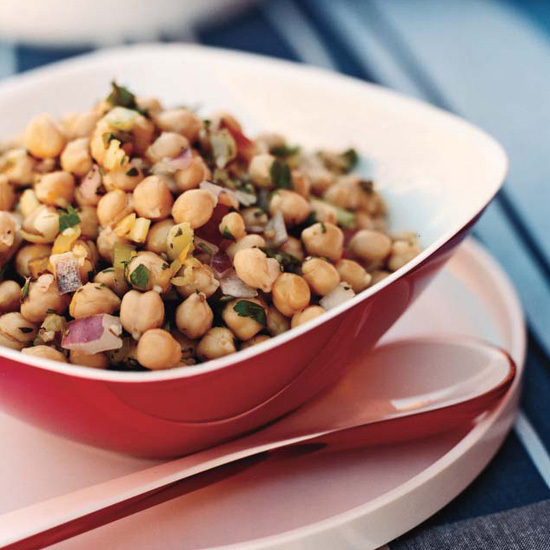 The Dish: Serve Tom Colicchio’s fresh-tasting chickpea salad with warm, soft pita bread to soak up the olive oil dressing. 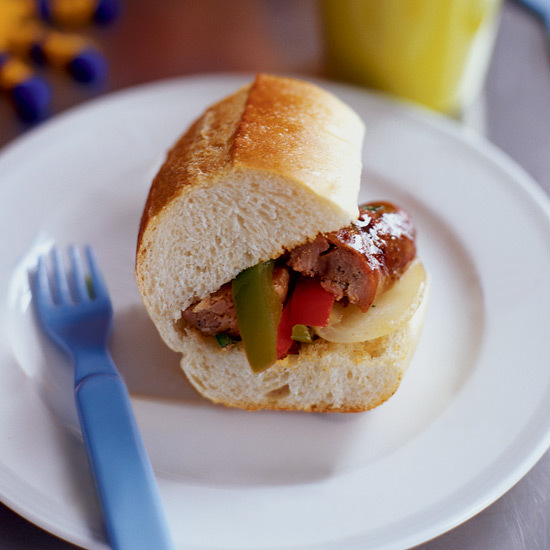 The Dish: This updated classic sandwich is easy and satisfying. 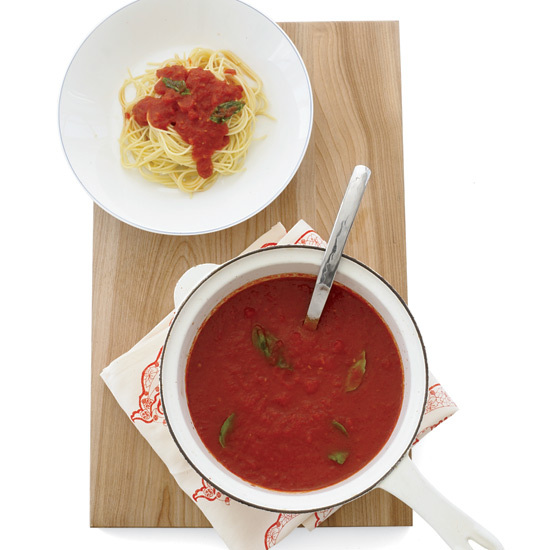 The Dish: A quick tomato sauce is a standard for every cook. This version by chef Michael Schlow is luxurious, and comes together with basil-infused olive oil. The Dish: Mike Price drizzles blood orange slices with a Greek olive oil. Pressed from kalamata olives, the oil’s gentle fruitiness and lack of bitter finish make it ideal for salads. 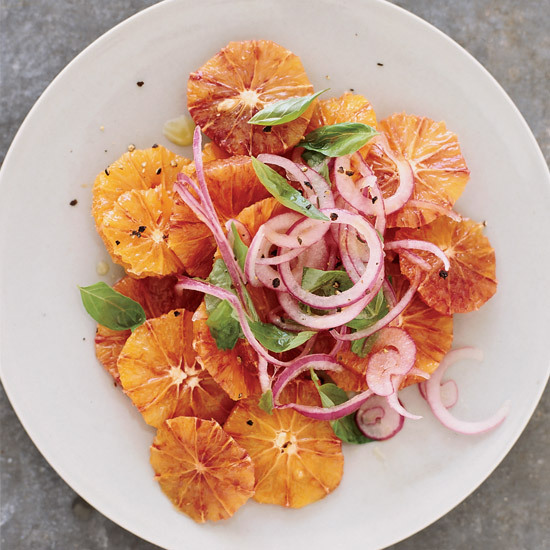 If blood oranges aren’t available, navel oranges or tangerines are excellent substitutes. The Dish: These stuffed chicken thighs by star chef Mario Batali are filled with fresh bread crumbs and melty provolone cheese. 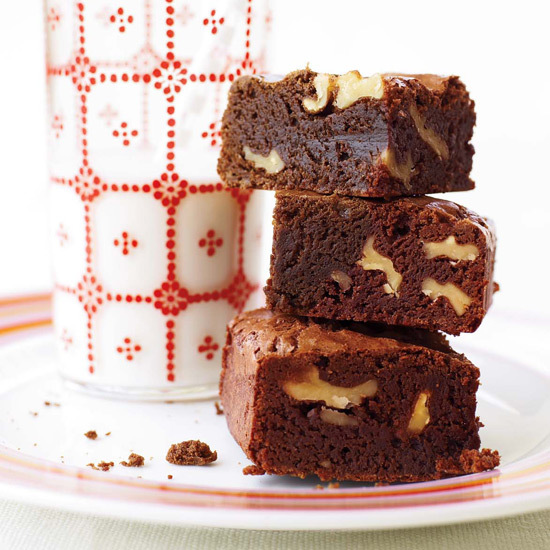 The Dish: Andrew Zavala, 11, discovered the recipe for these gooey brownies in a kids’ cookbook by Pamela Gwyther called Let’s Cook! when he was seven years old. A self-professed kitchen scientist, he likes to revisit the recipe often, substituting ingredients and noting the results. “My favorite version uses two ounces each of dark, milk and white chocolate,” he says. 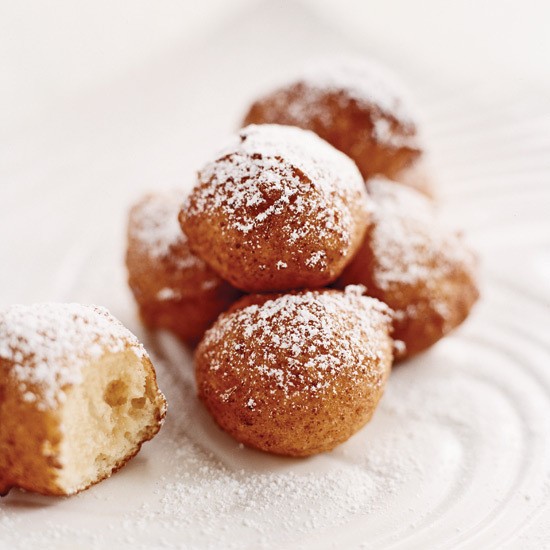 The Dish: Gale Gand, an F&W Best New Chef 1994, got this recipe from her mother-in-law, Vita Seidita; the fritters are also good sprinkled with cinnamon sugar or dipped in jelly.